English Spot. 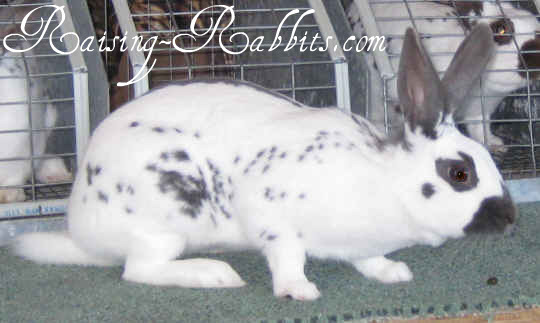 Get history, description, standards, photos of these very spotted rabbits. 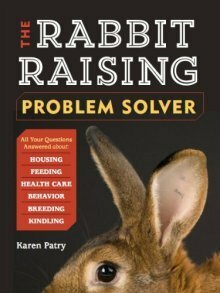 Is this challenging show rabbit or pretty pet right for you? The Eng. Spot is an old breed with a long English history. It is a medium-sized, fully arched rabbit with very distinctive spots on sides, spine and nose. Ears are colored. 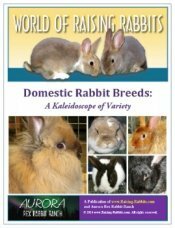 From the haphazardly-marked rabbits of the 1800’s, breeders have standardized and refined the spots, which are well-recognized today. In the UK, the breed is known simply as the "English" rabbit. Though spotted (broken pattern) rabbits had roamed England for well over 200 years, they were nothing special until the beginning of the 1800s. They generally weighed 7-10 pounds, and were the average spotted meat rabbit, several in every barn. In the early 1820’s, as the general interest in rabbits began to increase, extensive descriptions of the “perfect” spotting patterns was made. It was difficult to get all the various markings aggregated correctly in the same rabbit, which was fine, because farmers rose to the challenge for the next 100 years. In 1893, a drawing of “the perfect English Spot” was published in Britain’s Fur & Feather. The same standard is in use today, and describes the herringbone, butterfly, eye circle, cheek spot, ears and ear base, leg marking, and the chain and hip spots that together make up the side pattern. Ten years after the drawing was published, the winning rabbits in English shows more and more closely approximated that ideal. Photos in 1905 showed rabbits that were clearly Eng. Spot rabbits, though their hip markings were still blotchy and congested. Saddle markings had given way to the desired herringbone stripe. The breed was imported to Germany in 1889, and from there to other countries in Europe. It arrived in the USA in the early 1900’s. The Eng. Spot is a medium-sized breed with an arched body type. Its weight has been set at 6 - 8 pounds (2.72 - 3.62 kg) in the UK, and 5 - 8 pounds in the USA. The standard for the markings remains the same since 1893. For all the details, please consult the Standard of Perfection for the breed, which is very specific, and includes multiple drawings of the various markings that are considered correct for the breed. In the USA, the accepted colors are black, blue chocolate, gold, gray, lilac, and tortoise. In the UK, English rabbits are recognized in black, blue, tortoiseshell, chocolate, and gray only. All other colors are specifically rejected as "inadmissible."